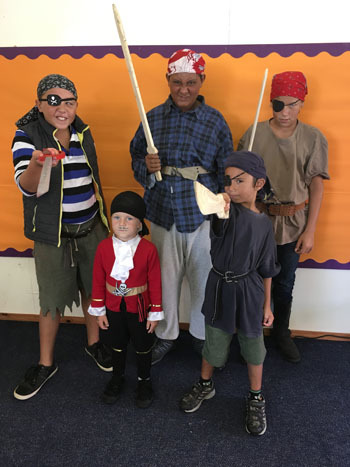 On Monday 19th March 2018, St Mary's celebrated Book Week for the first time. We kicked the week off with a visit from a local published author, Detective Constable Conrad Glass. He told us all about his book, "Rockhopper Copper", and how it had been written and published highlighting to the children the skills he needed to accomplish this. 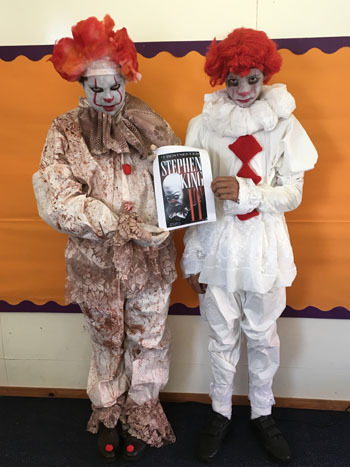 All the classes chose a book to focus on over the week with the aim to highlight the importance of reading but also to show how much fun books are regardless of your reading ability. During the week we had a visit from Leo Duval who read the children's classic, The Very Hungry Caterpillar to Class 1 and 2 in French and in Spanish. 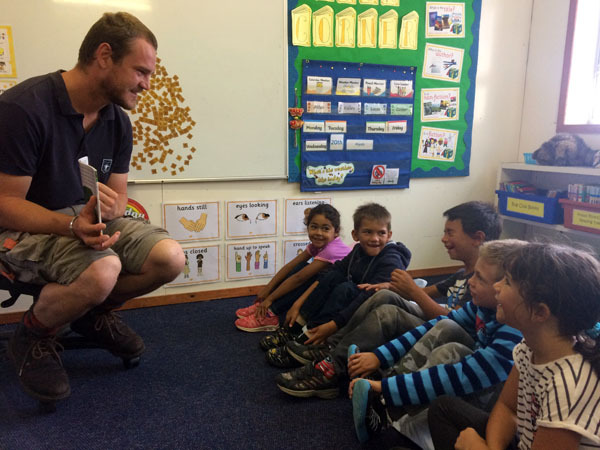 Craig Bergh visited the next day and also read us the story in Afrikaans. The children really enjoyed listening to a story they knew in a new language and had fun learning to count to 5 in French and Afrikaans as well as learning how to say hello and thank you. We also did some paired reading and Class 3 visited Class 1 and Class 2 visited Playgroup to read them books to celebrate the progress they have made over the years with their reading. 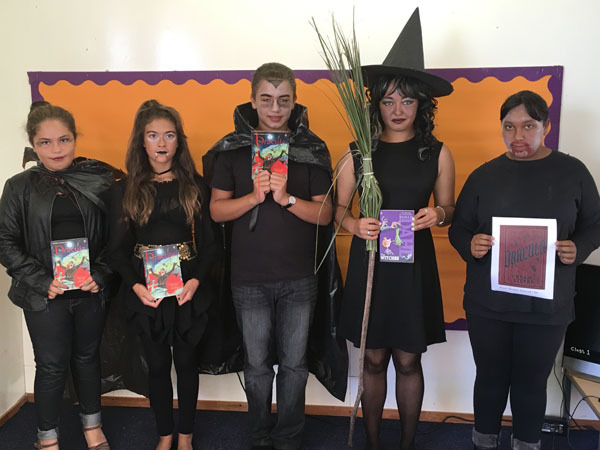 On Friday 23rd March, we held a Book Week assembly and invited parents and the community to join us. 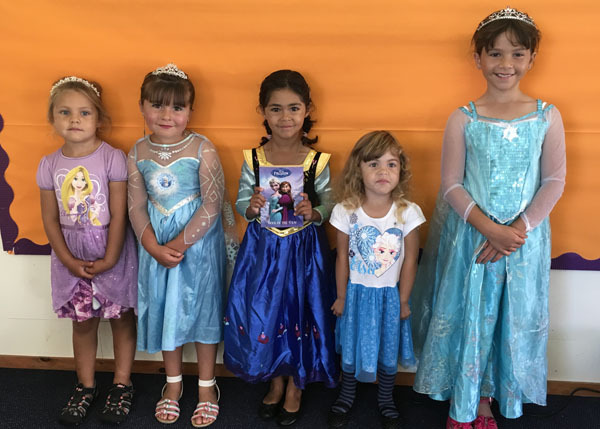 All the children dressed as a character from a book and we had princesses, pirates, vampires and creepy clowns to mention a few. 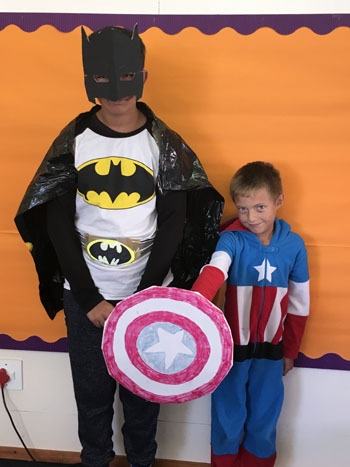 Given the limited shopping opportunities, the children and parents had been really imaginative and the costumes were fantastic. In assembly, the children shared what they had learnt over the week from the book they had been focusing on. 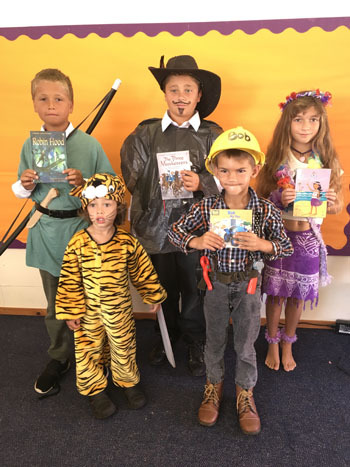 Everyone really enjoyed the Book Week and hopefully it will become an annual school event.